Come to our OPEN HOUSE and find out everything you need to know to submit a proposal for a speculative monument that memorializes police torture in Chicago and the struggle against it. Over 100 African American men were tortured by white Chicago police officers under former Commander Jon Burge. We remember this history to say never and again and to work towards justice for Chicago torture survivors. 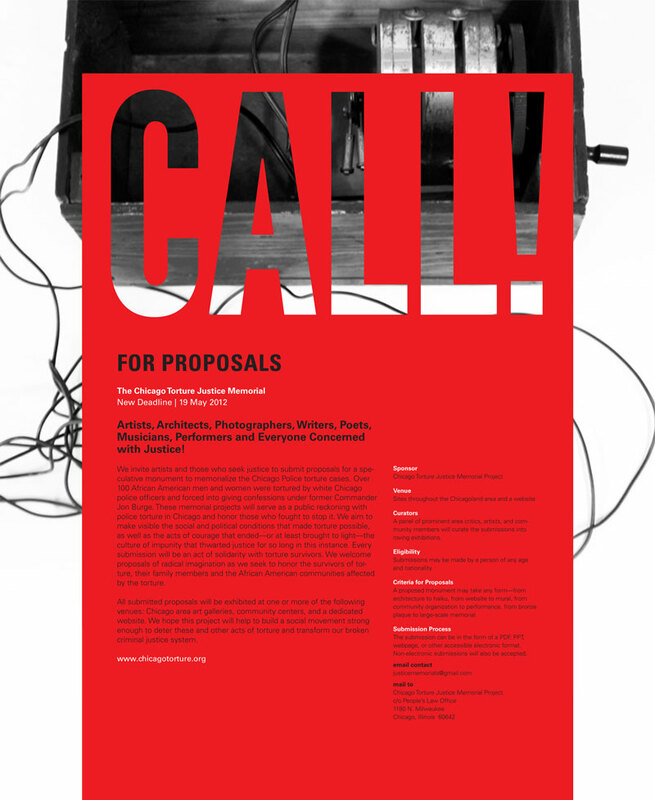 All proposals submitted will be featured in roving city-wide exhibitions or a dedicated website.